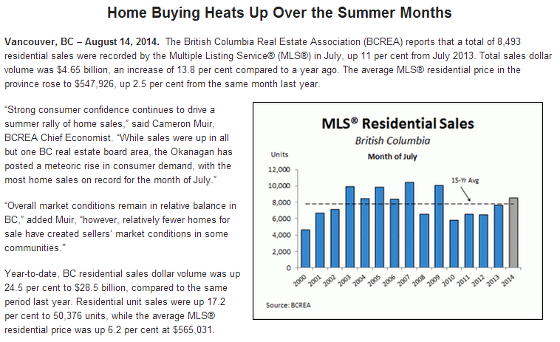 The latest stats from BCREA (released Aug 14, 2014). 11% increase in July '13 vs July '14 sales and 17% increase in sales year-to-date. For more detailed information on specific areas of Greater Vancouver or BC, contact Kyle Roman (778.847.3325; kyle@kyleroman.com).